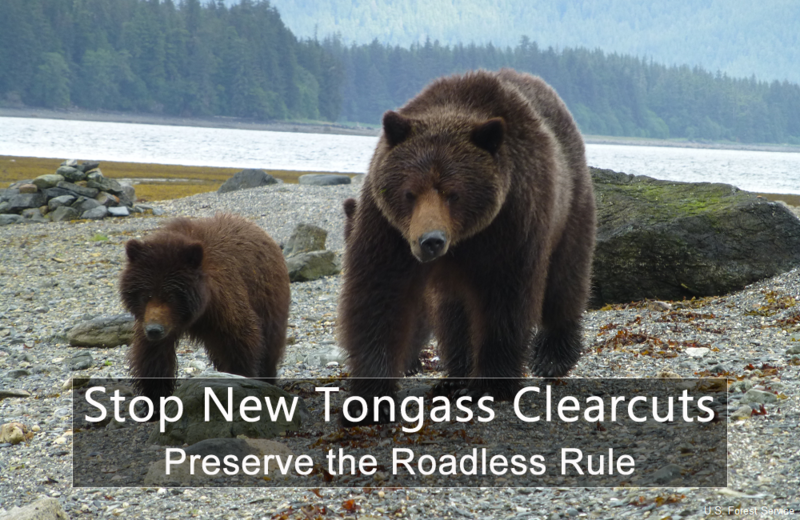 Stop new Tongass clearcuts: Preserve the Roadless Rule! I strongly oppose any efforts to weaken protections for Roadless areas in the Tongass National Forest. The Roadless Rule should continue to apply to the Tongass National Forest, as it does today, with no changes. The Trump administration has just launched a plan that remove Roadless Rule protections for the Tongass National Forest in Southeast Alaska. This plan puts all our forests at risk. Submit a comment to the U.S. Forest Service urging continued Roadless Rule protection of our old-growth forest in Southeast Alaska. The Roadless Rule protects 9.3 million acres of breathtaking, undeveloped roadless land in the Tongass. If the Trump administration moves forward with its plan to dismantle the Roadless Rule in the Tongass, it will endanger much of the old-growth temperate rainforest remaining on Earth.